Dr. M is a chiropractor who runs a small practice in an upper-middle income county in New England. The practice offers functional medicine focused care and wellness programs with two on staff therapists. One day in the fall of 2017, Dr. M ordered a 14-Day Detoxification Kit for herself on a whim. Before she even completed the 14-day program, she was extremely impressed with the results and she enthusiastically ordered 3 kits for her staff to try out the program themselves. Collective success and personal experience with the detox program spilled over into conversations with patients and friends. There was no scripted sales pitch to their patients. Simply sharing the personal experiences and results obtained by the entire practice staff enabled Dr. M and her staff to sell their first 10 kits in November. This first wave of patients soon turned into enthusiastic advocates for the detox program who brought their family members and friends to the Dr. M’s practice for a brief information session on the detox program and the functional medicine-focused wellness programs. Patients saw great results and they eagerly signed up to repeat the program after 5 months. This is how a small practice went from 0 to selling over 150 kits in the first 12 months. Success with the detox kit program brought another benefit to their practice by enabling Dr. M and her staff to increase the services they provide to their patients by offering diagnostic tests and increasing supplement sales using Functional Health Reports. When the bodies regular function is disrupted by toxins, many systems can be thrown out of the optimal range of operation. This includes how our bodies process what we take into our bodies. This program is designed to recognize the initial state of the body and then use the detox process to transform the bodies overall condition back to an optimal state. The Detoxification for Weight Management program focuses on the connection between toxic body burden and the effects that has on body weight. With a customized blood panel for diagnostic application and easy-to-follow patient detox instructions this program is crafted for optimal success. The Complete Detox Panel PRO minus the Leptin and the Cortisol, A.M.
compared to ordering the kit and panel separately. * Note that you will be billed for the kit immediately, when lab results come back you will be billed for the lab panel PRO or BASIC. You can also call us direct to order at 888-852-2723 . 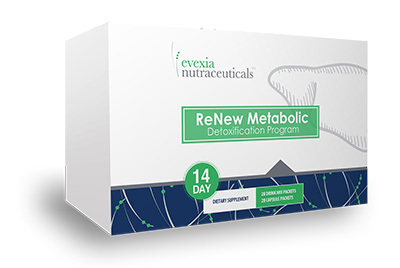 In addition to being able to order the Detox program for you patients you also have these other options: ordering the ReNew Metabolic Detox Program alone (no diagnostic blood panel), Taking the Detox for Weight Management Course (learn the science and marketing behind the program), or purchasing the white label marketing materials to go along with the Detox program to further your success in reaching more patients. The weight loss/detoxification program explains the connection between toxic body burden and increased body weight. This comprehensive course outlines specific and easy-to-follow instructions for optimal success when prescribing weight loss program. 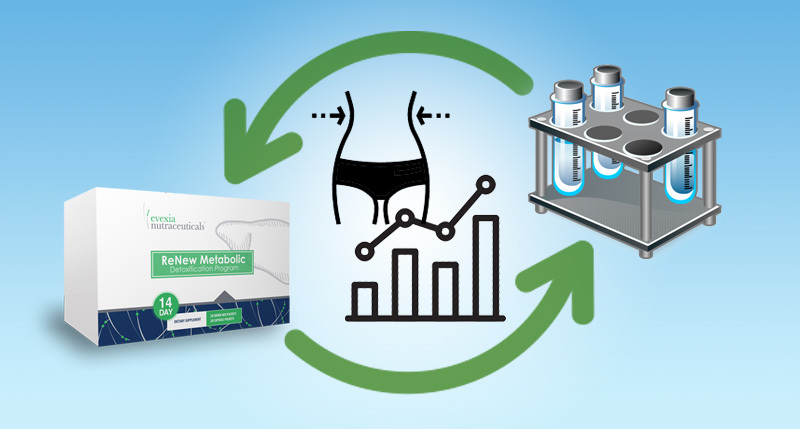 Dr. Sodano provides the educational tools you need to understand the method of reducing body fat by explaining the low allergy/anti-inflammatory diet, a personalized diet prescription, and the laboratory assessment of weight management. This course is offered many times throughout the year. 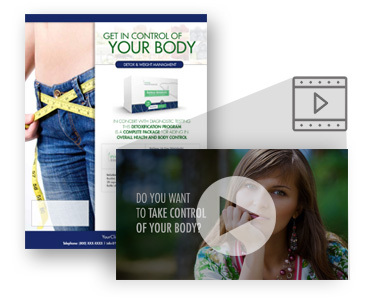 Enhance your outreach and education of the benefits of the Detox for Weight Management program that you are providing to your clients. This package includes an attractively designed sell sheet that explains basic information of the program and an online commercial video, both of which can be customized with your practices logo, address, contact information and pricing.